Get the low down on Earth's highest mountain! 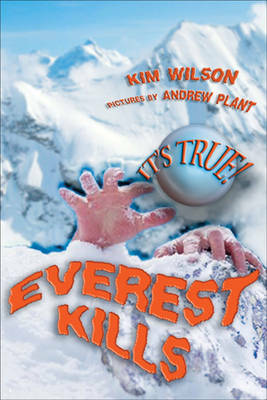 Packed with hair-raising stories of extreme adventure, the 22nd title in the exciting It's True! series reveals the challenges that confront the courageous climbers who venture up Mount Everest Psst! It's true! This is the best book on Everest you'll ever read! What's it like at the summit of Mount Everest? It's so cold that your skin sticks to metal, your breath comes out in crackling ice crystals and your eyes freeze shut. Battle blinding blizzards, run the risk of avalanches and sniff out the elusive hairy yeti. Find out who won the race to the top of the world, and what happened to Mad Maurice's body after he disappeared on the snowy slopes. Join our expedition up the planet's highest mountain...if you dare! Chill out with frostbitten facts and extreme expeditions. Kim Wilson is an experienced writer who has worked on many adventure magazines, including a stint as editor of Outdoor Australia and Editorial Director of Emap Australia. She has also been a regular freelance contributor to The Age sports pages. Kim is currently the editor of OK! Magazine, Australia.